Meopta was founded in Prerov, Czechoslovakia in 1933, but it is now a joint Czech-American company. The original Optikotechna company was initially established with the intention of only manufacturing a limited range of lenses and condensers. However, the company soon developed a reputation for producing many products that were far better than many other manufacturers. This allowed the company to rapidly expand the range of products to include binoculars, riflescopes, spotting scopes, enlargers, composite lenses, cameras and slide projectors. Today, Meopta is not only one of the leading suppliers of a wide variety of premium grade, high performance optics products, but is also a leader in world class research, design, engineering, manufacturing and assembly services. Meopta currently employs around 2500 people in Prerov, Czech Republic and New York, USA. Meopta's main focus is on the premium, high end of the optics market and as such their range may seem smaller than many other manufacturers, but what you can be sure of is that every Meopta binocular is a high grade, quality pair of optics and as good as any other of the well known premium European brands. Meopta binoculars are split into two lines, the top of the range MeoStar B1 series and the new MeoPro binoculars. The MeoStar binoculars came about partly because of Meopta's extensive experience in designing and producing really high spec, state-of-the-art professional caliber optics and related products for a whole host of different industries. MeoStar binoculars use only the finest materials, along with the most sophisticated production processes in their manufacture. These bins have been developed to surpass the needs and wants of even the most demanding professional observer, placing them on a par with any other premium binocular out there. The MeoPro binoculars are the companies newest line and are designed for the serious user, but one that is a little more price conscious. MeoPros are currently available in 6.5x32, 8x42 and 10x42 models to suit of the popular uses including wildlife observation, birdwatching or just as general use binoculars. Very similar to the standard B1 42mm series, the Meopta B1 42mm HD series comes with the addition of HD Lens Elements, these extra-low dispersion, fluoride objective lens elements will help to eliminate chromatic aberration (color fringing). As you would expect on a high end pair of optics like these, all lenses are fully multi-coated with Meopta's own MeoBrite 550 coatings - This multi-layer ion-assisted coating is applied to all air-to-glass optical surfaces and are designed to eliminate glare and reflections and they say delivers an excellent 99.8% transmission of light per lens surface. As well as these anti-reflection coatings, Meopta have added a protective coating to all external lens surfaces which improves their resistance to scratching or abrasions. Meopta call this their MeoShield coating and according to them it meets military specifications for durability and surface hardness. Meopta also state that all the individual lens components are meticulously ground and polished in-house and precisely matched for superior performance. The Schimdt-Pechan prism design roof prisms have Phase correcting coatings that give a sharp and high-contrast image over the full field of view. Currently the MeoStar 42 HD Series only contains one model, a 10x42 which Meopta say has a "class-leading" field of view. But whilst their FOV, which is actually 330ft @ 1000 yards is excellent for a 10x42 binocular, it is not really class leading - For example the Minox 10x42 BV BRW Binoculars have a FOV of 342ft @ 1000 yards. For more take a look at this article on Wide Angle Binoculars. The chassis is made from what they describe as "aircraft grade" aluminium, it is 100% waterproof and nitrogen purged meaning that the internal air has been replaced with dry nitrogen to ensure there is no internal fogging, which can occur when there is a rapid temperature change. This chassis has then got a protective rubber armor over it which is softer in strategic locations to help reduce hand fatigue and improve grip which is a nice touch and shows a good attention to detail. Sculpted thumb indents are also placed to accommodate a variety of hand positions and encourages a balanced and comfortable hold. Quality components and optics are used throughout and all lenses are fully multi-coated with their own Ion Assisted MeoBrite 550 lens coatings that Meopta say has a light transmission rating of 99.8%. The half pentagonal and Schmidt design roof prisms have Phase correcting coatings that give a sharp and high-contrast image over the full field of view. The aircraft grade aluminium chassis on the MeoStar B1 is 100% waterproof and nitrogen purged meaning that the internal air has been replaced with dry nitrogen to ensure there is no internal fogging, especially important in areas of high humidity or where there are rapid temperature changes. Other features include eyecups that twist up and so help ensure that all observers, even those who use glasses are able to see the entire field of view. These bins also feature a focusing wheel with a built in diopter adjustment dial that ensures quick and simple focussing and calibration. With their very wide field of view, compact size and light overall weight. 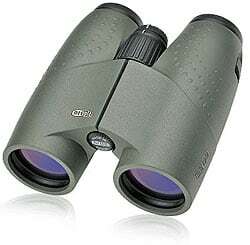 These are an excellent choice for general birding, butterfly and nature watching. Excels in tight wooded conditions. Perfect for travel and hiking/backpacking. A wide field of view for longer distance observing. Compact size and light overall weight. Excellent for shorebirds, waterfowl, hawk watching, general birding and nature watching. 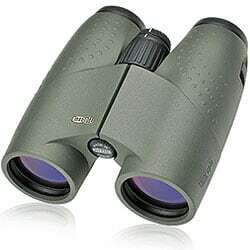 Perfect for travel and hiking/backpacking and ideal Safari Binoculars. Like the 32 Series, quality components and optics are used throughout the 42 MeoStar binocular series. The half pentagonal and Schmidt design roof prisms have Phase correcting coatings that give a sharp and high-contrast image over the full field of view. The 42 Series have what Meopta say is class-leading fields of view. The 7x42 Meostar B1 has a FOV of 411ft @ 1000 yards and the 8x42's are 402ft @ 1000 yards and whilst these are excellent, they are not class leading - maybe class equaling. For more take a look at this article on Wide Angle Binoculars. The aircraft grade aluminium chassis is 100% waterproof and nitrogen purged meaning that the internal air has been replaced with dry nitrogen to ensure there is no internal fogging, especially important in areas of high humidity or where there are rapid temperature changes. The centrally located focussing wheel also comes with a built in diopter adjustment on the end of it which makes adjusting and focusing quick and easy, even if you are wearing gloves. Lower power equals a steady image with an extremely wide view. Perfect for birding at the coast or on the water and the large exit pupil ensures that they excel in poor light conditions. 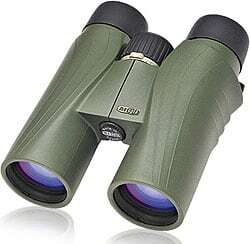 With a nice wide view, these are ideal all-around birding and nature watching binoculars. Is perfect for increased distances or for achieving more detail. Great wildlife observation optics, and ideal for waterbirds, raptor watching and most general all-around nature observation. Currently there is only one model within the MeoPro 32 series, the very good looking 6.5x32 MeoPro, that differs to the MeoStar series in that they are assembled in the US. The lower 6.5x magnification, generates a incredibly wide view that is 440ft wide at 1000 yards away. Also impressive is their very close minimum focussing distance of only 1.1m / 3.28ft that should appeal to people whole want to observe things like butterflies, dragonflies and flowers. 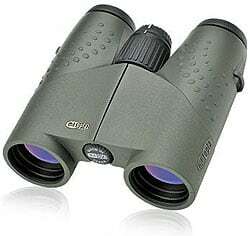 For more take a look at my article on these close Focus Meopta MeoPro 6.5x32 Binoculars. All lenses are fully multi-coated with Meopta's own 550 MeoBrite coatings that they say ensures a light transmission level of 99.8%. Plenty of eye relief as well as a 3-point, fixed-stop twist-up eyecups enable you to set them to the perfect distance from your eyes to ensure you get the full view. Weighing just 21 oz, they can focus on an object as near as 3 feet away, coupled with a very high quality and bright image, these are ideal for a wide variety of uses. With their really wide view and reduced power that helps keep the image you are looking at nice and stable, these are ideal for uses like canoeing or kayaking or for people with unsteady hands. Their low weight and small size also makes them simple to carry about and pack away and so are a good choice for many bird, butterfly and nature watching applications especially when used on water, whilst hiking, backpacking or to take travelling. All the models in the 42 MeoPro series have a relatively wide FOV (field of view) and a more than adequate eye relief on their twist-up eyecups. These come with 3 click stops to ensure that every observer, even those with glasses can find their exact position to se the entire field without any blurring on the edges. The focusing wheel takes just one and a quarter turns to go from the near to far focus extremes. All lenses are completely multi-coated with Meopta's own MeoBrite 550 lens coatings that they say transmits 99.8% of the light through them. All bins in this series also come with a rainguard, carry case, tethered lens caps and a nicely padded neck strap. 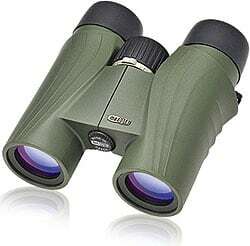 With a wide view, these make the ideal all-around nature watching and birding binocular. Ideal for for gaining more detail or for more distant observation.